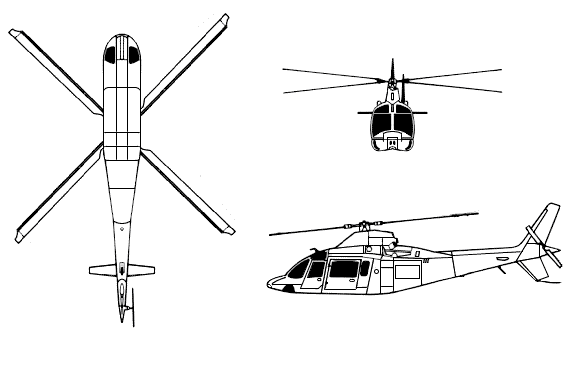 Description The story of the successful AW109 product line goes back to the mid-1960s, when Agusta decided to start with the development of the A109A medium weight helicopter. Initially, the design used a single Turbomeca Astouzou turboshaft engine. However, with the 109C 'Hirundo' version, this engine was replaced by two Allison 250-C14 turbine engines for safety reasons. In this model, Agusta also changed the fuselage, introducing a sleek design with Italian design qualities. The A109 is the first helicopter developed solely by an Italian company. The A109C received its type certification in 1975. The AW109 (as it is called after the Agusta and Westland merger) is a versatile machine with good performance figures, and is sold in both civilian and military versions. Some highlights are the Power version with two Turbomeca Arrius 2K1 or two Pratt & Whitney PW206C engines and the Grand versions with their longer cabin. The story of the successful AW109 product line goes back to the mid-1960s, when Agusta decided to start with the development of the A109A medium weight helicopter. Initially, the design used a single Turbomeca Astouzou turboshaft engine. However, with the 109C 'Hirundo' version, this engine was replaced by two Allison 250-C14 turbine engines for safety reasons. In this model, Agusta also changed the fuselage, introducing a sleek design with Italian design qualities. 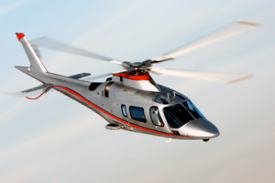 Do you want to comment the AgustaWestland AW109 Power helicopter?